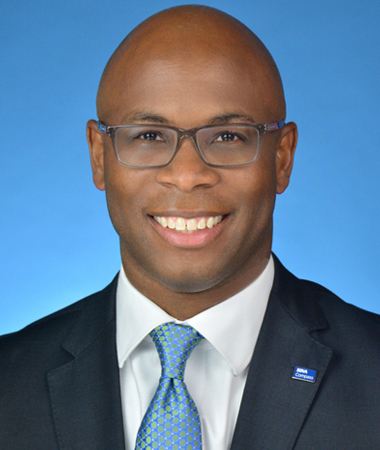 Zennie Lynch, Jr. has spent 23 years in financial services and is currently the Georgia Market President at BBVA Compass. He leads a team whose sole focus is to deliver the bank’s vast domestic and global resources to businesses in the Atlanta Metro and Greater Georgia areas. Prior to joining BBVA Compass, Zennie managed a team of financial professionals that focused on the corporate banking needs of middle-market commercial clients (defined as companies with revenues between $20 million and $500 million). In addition to Zennie’s professionally responsibilities, he partnered to operate a local service based franchise for 11 years. Zennie received his BS in Accounting from Northern Illinois University and an MBA with a concentration in Finance from Northwestern University’s Kellogg Graduate School of Management. He also passed the CPA Examination in 1996. Prior to joining BBVA Compass, Zennie managed a team of financial professionals that focused on the corporate banking needs of middle-market commercial clients (defined as companies with revenues between $20 million and $500 million). In addition to Zennie’s professionally responsibilities, he partnered to operate a local service based franchise for 11 years. Zennie is currently on the Board of Brookhaven Innovation Academy and a member of the Kellogg Alumni Association. In the past he has served on the Board for the National Black MBA Association (NBMBAA) and on committees for Junior Achievement of Georgia, Center for Puppetry Arts, and the Association for Corporate Growth (ACG).